COMMENTS: I use natural ingredients in my soaps whenever possible. My customers love the choices I offer. Madder root has many applications. 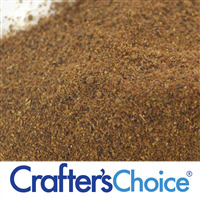 Be sure to do your research and enjoy using the finely ground powder. 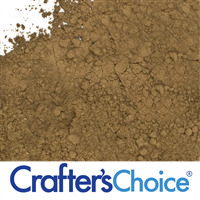 COMMENTS: I really experimented with madder root powder to determine its consistency in yielding a burgundy color. It was added before and after adding the lye to the distilled water. It was added after the lye solution cooled. It was added to oils. It was added to the soap batter at very light trace. It was mixed with the fragrance oil and incorporated into oils prior to adding the lye mixture. Each effort produced a burgundy soap. The color was perfect for my holiday soap gifts. 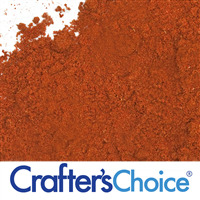 I will definitely use the madder root powder as a natural colorant again and again. COMMENTS: I get a very pretty pink with this powder, and very Intense too!, it even colored my last rebatch beautifully, even though it has different colors soaps, the pink was homogeneous. COMMENTS: Used in cold process soap making, added Anise Star EO and it looks beautiful. COMMENTS: Gives a great color to my soaps. 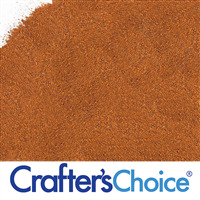 Still experimentibg with the range of color I can get, but I've gotten a lovely cranberry by mixing 3 parts Madder with 2 parts Moroccan Red Clay. Will be aiming for a more reddish tone in future experiments. 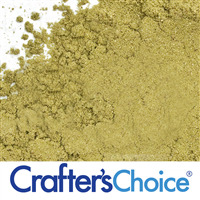 Love this natural colorant! 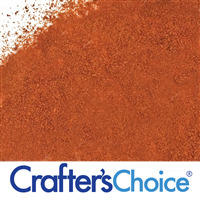 COMMENTS: This has a deep earthy red color when added to the cold process soap. It had some darker specks after mixing directly into my soap base, which I don't mind because I was going for a more natural earthy appeal. I wasn't sure how to use this (mix with water or oil before adding to soap) but I just threw it right in.... might explain the darker specks. COMMENTS: Made a beautiful deep purple in cold process soap. Very happy with the color turnout. COMMENTS: I just used this in a CP recipe. 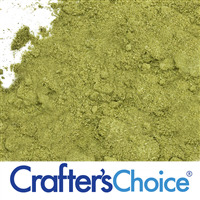 I like the color and the healthiness of using an all natural product. And wow! This 2 oz. bag is going to last me a little while. COMMENTS: I use it on all my "all Natural Soaps"
COMMENTS: I use this in my soap for a natural colorant. Works great and adds a bit of exfoliation depending on how much you use. 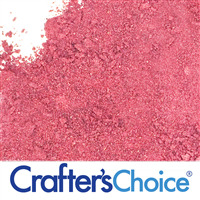 COMMENTS: This is my absolute favorite additive for a natural pink color. Really stunning in hot process soap and holds its color beautifully. COMMENTS: Wonderful product. My new favorite natural additive for giving soaps a pretty pink hue. COMMENTS: The color in the bag is deceiving. I bought 2 oz and expected to use almost all of it pretty quick, but it stretches more than you think. I should have put more, but was afraid it would get toooo dark. Used maybe half an oz and it gave me a nice pink color with some dark flecks throughout. It's definitely not a smooth color, but I like the way the flecks look. 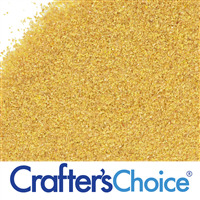 COMMENTS: After reading the reviews I decided to buy this for my Pink Grapefruit CP Soap. I was worried when I got it because it doesn't look pink in the bag at all. When I used it in my batch it turned into a beautiful light pink color that's perfect for the scent. Soap has cured for about 8 weeks now and looks great! Very pleased and will continue to use. COMMENTS: This powder is a wonderful alternative to synth etc color, but be sure to stir it well. 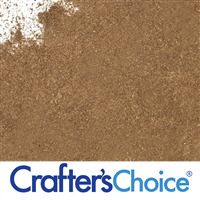 It may give a gritty feel and appearance to product if not evenly dispersed. COMMENTS: Great way to color your soaps naturally and achieve beautiful results!!! 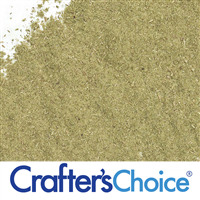 "Crafters Choice™ Maddar Root Powder"
COMMENTS: Without boring everyone with my high admiration for the different herb powders offered by WSP, let me just suffice it to say that if you don't give these a try, you'll never know what you're missing. So far, I've only ordered the 2 oz packages. Even with using them regularly, I won't have to purchase more for a very long time as a little goes a very long way. Not only will they give your products that extra "something", you'll feel good about offering them to your customers. COMMENTS: One of my favorite products for soap making. It produces a variety of pink shades, mixes well and no scent noted. I mix it in some oil from recipe or soap mixture before trace and then add at trace. COMMENTS: So far I have only used this madder root to infuse in olive oil. I really like the reddish color the madder root turns my olive oil. The color turns almost brick red in CP soap. I actually used this to create red hearts using the heart mold I purchased from WSP. COMMENTS: A great natural way to color my soaps. It adds a pinkish orange brown to my soaps. Love it. 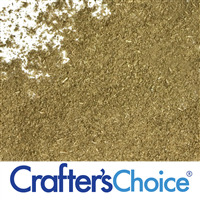 COMMENTS: Love using this to achieve beautiful natural color in my soaps. Get pretty pink color using alone but if mixed with Rosehip powder - BAM - you get rockin red which is impossible to obtain with other natural colors in my experience. 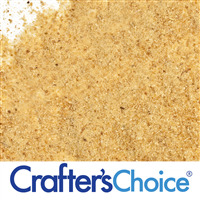 Love, LOVE, LOOVe this product! • Nothing - I love this! COMMENTS: Bought this to color soap with a loved it. 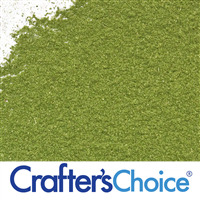 The color is really nice and like that its a natural ingredient. "very nice red and pink!" COMMENTS: I love using maddar root to give my soap a natural red color! Infuse in olive oil and use at 15% of total oils for a nice pink shade too! COMMENTS: I used one tablespoon of madder root powder in approx. 2.5 pounds of soap that resulted in a deep, rich pink. The soap is still curing now, but so far I am very pleased. 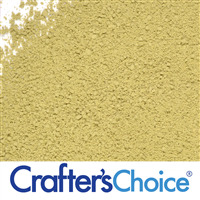 COMMENTS: This powder creates a wonderful color and many wonderful benefits to my products. I love it! COMMENTS: This powder offers great tints of red. It's an excellent natural colorant. 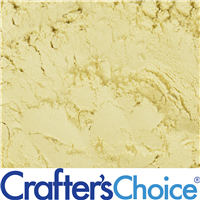 COMMENTS: Used as a natural colorant, this gives soap and lotions a very lovely pink tone. I think it's perfect, particularly for lotions if you want to add color. COMMENTS: I have used this several times now, infusing 2 tbsp into 16 oz of olive oil for a couple weeks. Just a few ounces of the infused oil in a 40 oz batch leaves a pretty pink color. I used this for pink baby soap, it is very pretty. COMMENTS: I used this in two batches of my grapefruit peppermint soap, and it behaved like a dream. I use 2tsp for 3 pounds of oil. I've both stick blended with some reserved batch oils, as well as just dumped it into my whole batch and stick blended that, and both were fine, it's very forgiving. ALERT: This will turn a beautiful dusky purple grey in CP soap as it gets fully incorporated. Don't fret, it will turn back to a brilliant dark pink as it sets. Went through gel phase both times and ended up with a great dark pink with small reddish flecks. If you want a great natural pink, this is it! 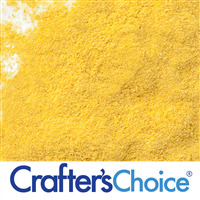 COMMENTS: This powder gave a beautiful color to my hot process soap. It wasn't what I was expecting but much better. It turned out to be a light raspberry color. This is a must in my collection!! "Not too much unless you want a deep crimson red"
COMMENTS: So far in my soapmaking, I have only used natural products like madder root, and will be buying more. 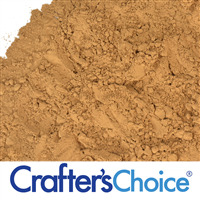 COMMENTS: I have always used natural colorants such as micas and pigments, but never a botanical colorant. OMG this color is SO beautiful! 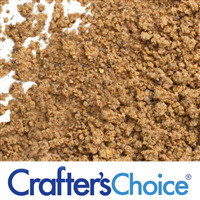 I used the recommended percentage and it is a beautiful burgundy right now in my molds. I'll be anxious to see if the color changes, but right now I LOVE it! COMMENTS: I enjoyed using this color in my grapefruit blend. I used only a little bit and got a nice pink color. A little does go a long way, I would start with using a 1/2 Tsp at light trace and then adding little by little to achieve the shade of red you want. "Nice pink or red color"
COMMENTS: Just a hint of this powder gave my whipped body butter a lovely pale pink color, and using a little more turned my sugar scrub a dark dusty rose color. 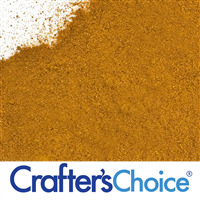 I really like having the all-natural option for colorants. COMMENTS: This stuff packs a punch! Very little is needed unless you want deep brown/maroon. I was hoping for more reddish than brownish, but still have some experimenting to do with the amount. "Beautiful color in CP soap"
COMMENTS: This maddar root powder worked extremely great for an all natural colorant in my shampoo bars. In cold process soap, I add the powder when the soap has reached a light trace; turning the soap a beautiful warm pink almost light red color. The price is great and depending on what color you're after a little goes a long way. Will definitely be ordering this again! COMMENTS: A little bit of this goes a loooong way. I used it in a third of a 2lb batch wanting to achieve a peachy pink color. Apparently 1 tsp is way too much because I wound up with a raspberry red. Very beautiful colorant though. 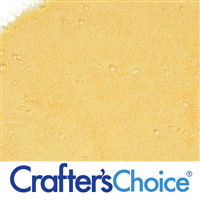 "Great amount for the price"
COMMENTS: I used this product in hot process soap and I was going for a light pink. I got more of a maroon/burgandy color. It was still pretty though. I would recommend you playing around with the madder root. The more you put in, the darker in color it is and it will be lighter by putting in less. I think I was a little heavy handed. The amount of madder root for the price was great and I will be purchasing again. 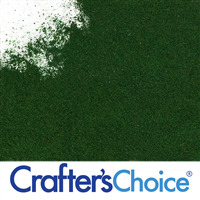 "Great natural color for CP soap"
COMMENTS: This color produces a nice shade of light to med. red in CP soap. Great for all natural soap! COMMENTS: I used this to color my CP soap. It turned the soap a warm orangey color with little speckles. It was a nice touch. COMMENTS: I used this in CP soap. I added a tsp. to the lye water and it turned my soap the loveliest shade of pink. 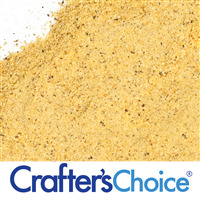 This is a great natural colorant and I will be ordering again. COMMENTS: This is a great way to use bright coloring in 100% Natural Soaps. COMMENTS: The maddar root makes a beautiful range of pink to red depending on how much you use. I would definitely order this again. Prices can't be beat thanks. 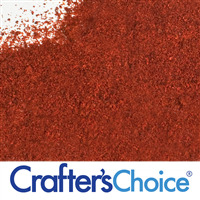 COMMENTS: Makes a very pretty burgundy/red color when used in hot process soap. Doesn't have a scent that transfer to soap. Very fun to use. COMMENTS: Once I tried madder root to color my soaps, I was hooked. It produces such a lovely pink in lower concentrations added directly to the soap. I have since infused it in oil and am wanting to try it in lotion as well. If added directly to soap, it will have a little grittiness to it, but nothing to worry about. • So pretty in soap! "Is this appropriate for use in bath fizzies? I see a couple of reviewers list that they've used it in bath bombs, but I want to make sure it won't stain bath tubs before I give it a try! :-) Thanks!" Staff Answer We do have a picture of this product in a bath fizzie. 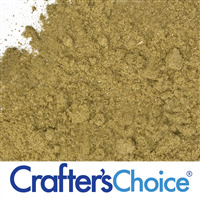 When you go to madder root powder, click on "Images" which is under the picture of the powder. The last photo will show this in a bath fizzy. The color is not very bright and we do not think it will stain the tub. You might try adding some powder to a sink full of water to see what happens. "I used this in cold process soap and it left a slightly lighter swirl towards the surface of the soap. The very same thing happened to a friend. Is this normal or was it something I did?" Staff Answer Without seeing your finished product I am afraid that we are stumped! If you would like to send pictures to orders@wholesalesuppliesplus.com we would be happy to look into this matter for you. "Would this work well for a red / pink colored blush?" 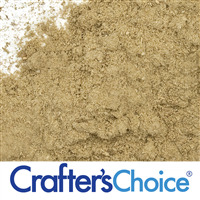 "How much madder root powder should I add for a 2lb batch of CP soap, and should I add it directly to my batch at trace, or disperse it in oil?" Staff Answer The typical recommendation for powders in CP soap is 1-3%. I would recommend mixing this into a small amount of oil and then adding that to your soap batter at trace. 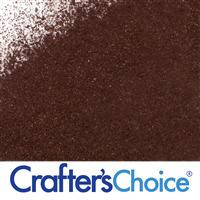 You could also mix this powder with a small amount of soap at trace and then mix the colored soap into your full batch. I added one tablespoon of madder root powder to approx. 2-2.5 lbs of cold process soap and it turned a very deep, almost dark pink. 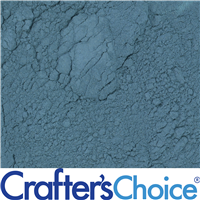 "I have been using mica powders in my lip balm recipe, but would like a little more color deposit on the lips. It was suggested that I use a pigment as well. Is this particular pigment safe for use on lips? Is it recommended. " Yes. Maddar root powder has been used for ages to color lips. "Would this be safe for hair care products?" From what I have read I would use with caution. It can cause unwanted color changes to dyed hair, turning peoples lovely highlights into faded pink streaks. I know that Aveda used to offer a Madder Root hair care system, and the one time I tried it it turned my lovely red highlights into a faded pink disgrace. I would say that it is hair safe, but would not recommend it. 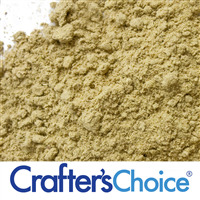 "If I use madder root powder will my soap be on the pink side or brownish or redish? I am confused on the color thig." In cold process, I get a lovely pink as long as the soap tends towards white (if vanilla discoloration or other ingredients in the soap add other color tones, the pink will be mixed with those other colors).